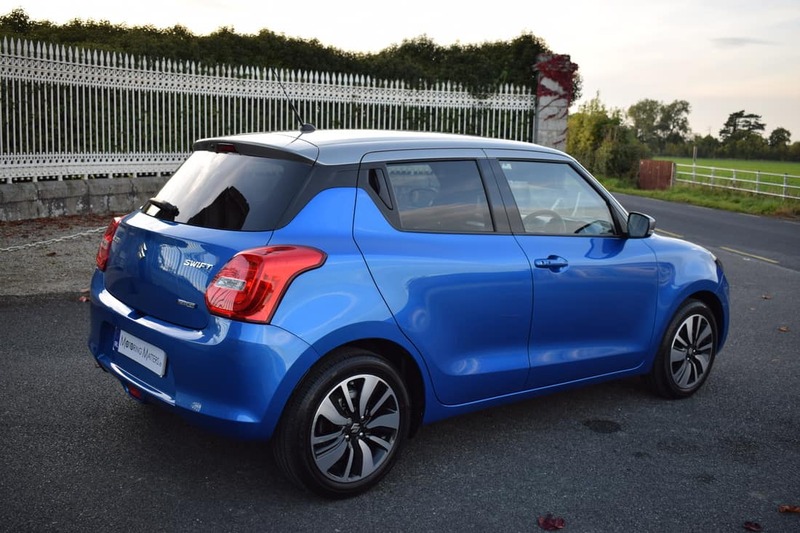 Now, 13 years later it is time for an all-new Suzuki Swift which arrives with the very lastest in engine technology, safety features, driver assistance packages and occupant comfort. 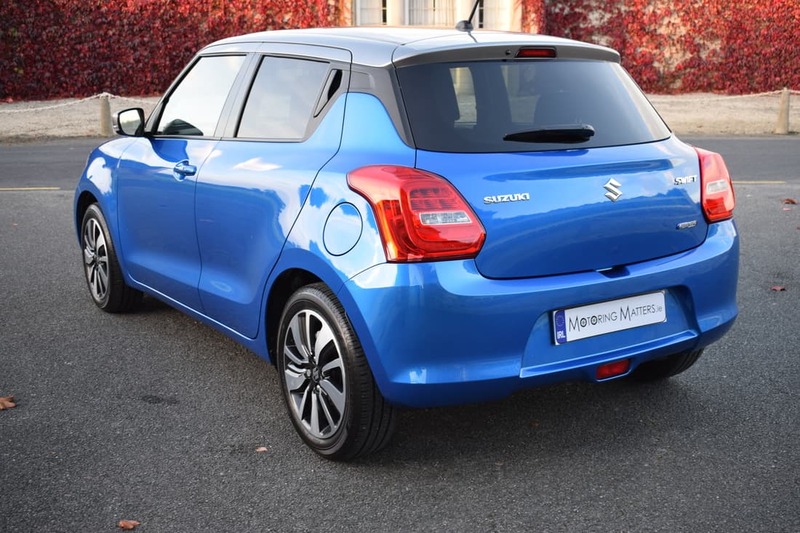 Bulit on an all-new platform (and shared with the Baleno and Ignis), the new Suzuki Swift is 10mm shorter than the outgoing model but is 40mm wider for extra shoulder room. 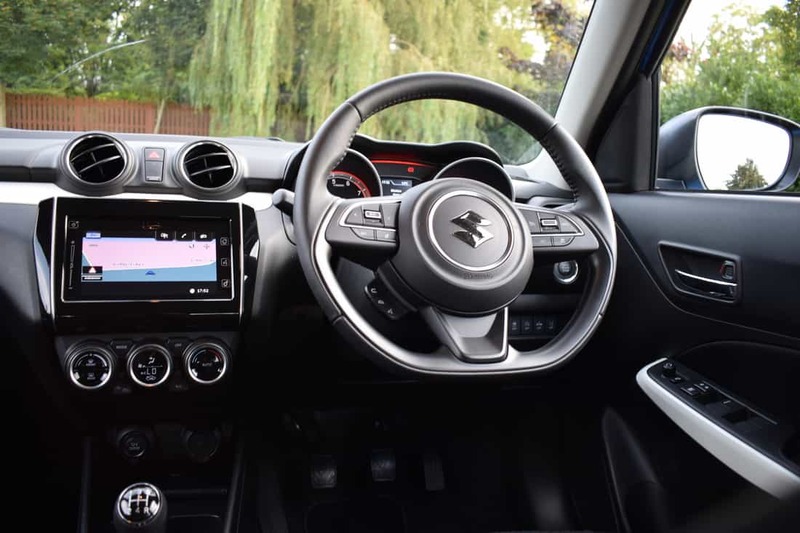 Crucially, the new car benefits from a 20mm increase in its wheelbase – thereby allowing extra legroom for taller passengers and giving the car a more solid feel than ever before. 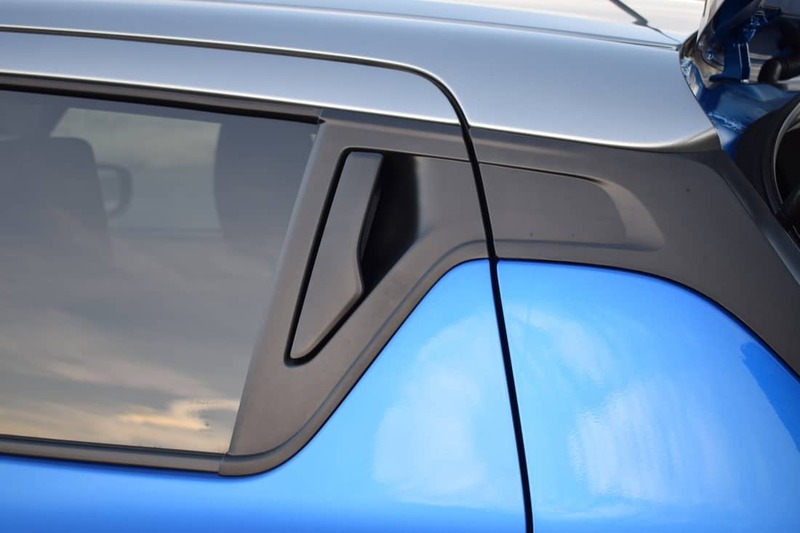 The new Swift also benefits from an all-new lightweight construction thanks to the use of high-tensile steel, thereby shedding weight in the process – meaning that the new Swift will weight from as little as 890kg. This translates into excellent fuel efficiency and lower emissions making the car extremely cheap to run. 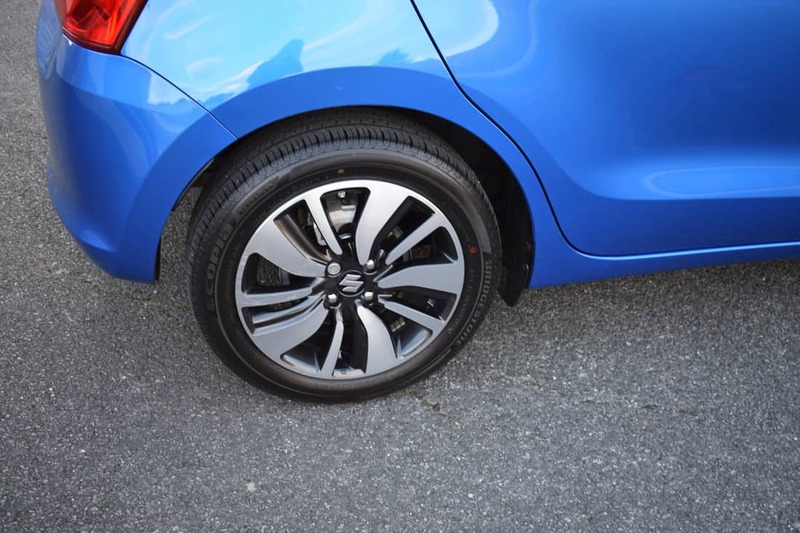 There are 3 specifications available in the new Suzuki Swift. They are; SZ3 (1.2-litre DualJet engine with 90bhp), SZ-T (1.0-litre BoosterJet 3-cylinder engine with 110bhp) and the range-topping SZ5 (1.0-litre BoosterJet engine in manual or 6-speed automatic guise or a 1.2-litre DualJet with ALLGRIP 4X4 in manual only). The SZ5 also features Suzuki’s mild hybrid system (SHVS) which is a compact and lightweight system that incorporates an Integrated Starter Generator (ISG) which acts as both a generator and starter motor. The ISG is belt-driven and assists the engine during vehicle take-off and acceleration. It also generates electricity through regenerative braking. 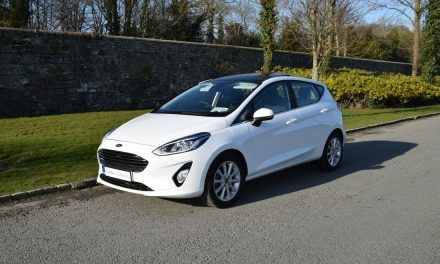 The system uses a compact high-performance 12V lithium-ion battery placed under the front passenger seat to store energy and incorporates an idle stop function operated via the ISG. My test car was the SZ5 1.0-litre BoosterJet model in 5-speed manual guise with Suzuki’s SHVS system fitted. This mild hybrid system is totally unintrusive and provides excellent fuel efficiency as a result. 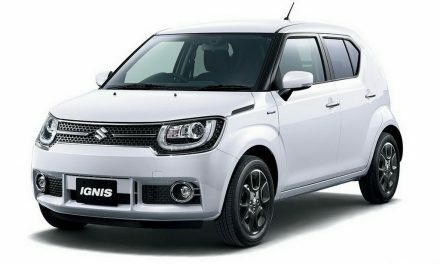 In fact, Suzuki claim a fuel consumption figure of just 4.3-litres of petrol for every 100km driven on a combined driving cycle. Annual road tax is just €180 thanks to low emissions. The steering is nicely weighted and consistent, making it relatively composed in corners. 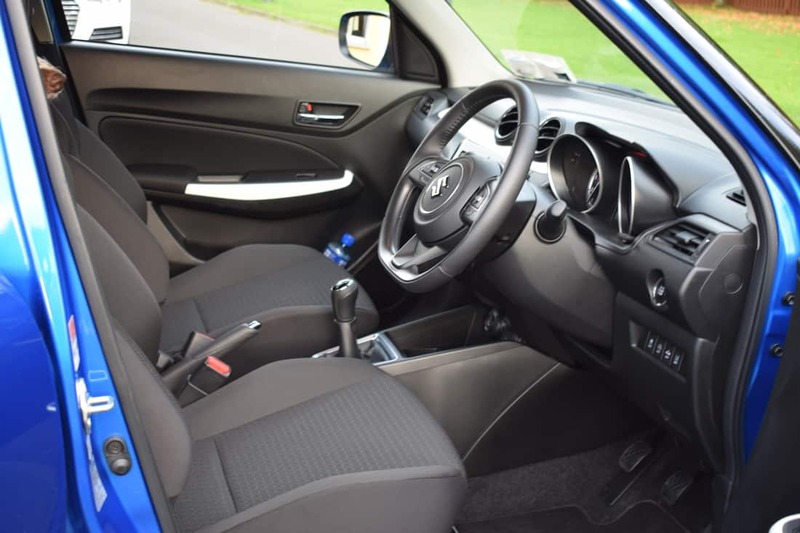 The five-speed manual gearbox has a sporty short throw and is eager enough to shift quickly through the gears. 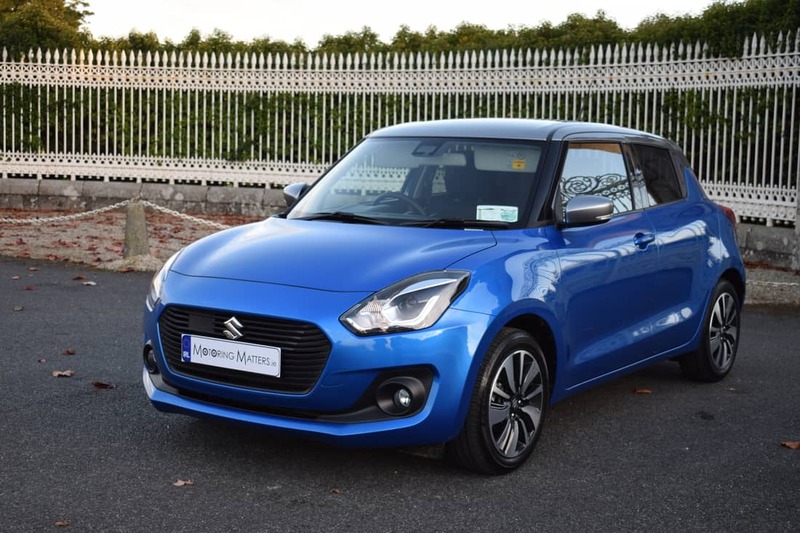 The new Swift’s lightweight construction allows the car to feel agile and is certainly a match for any competitor in the supermini class. The new Swift’s interior design is practical and all of the switches are easily accessible. 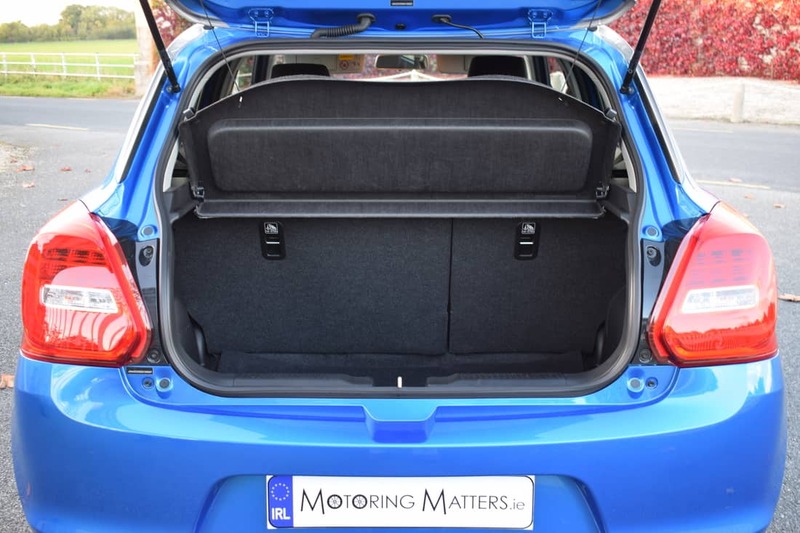 Boot space in the new Swift is 264-litres with the rear seats in the upright position and is adequate for this size of car, but it must be mentioned that the high load lip could make loading heavy items tricky. 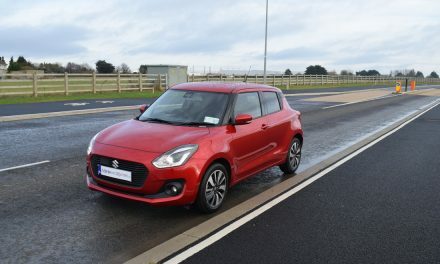 Prices start at a very reasonable €14,995 for the new Swift SZ3 model, while my test car cost €18,995 and provides big car features at a small car price. 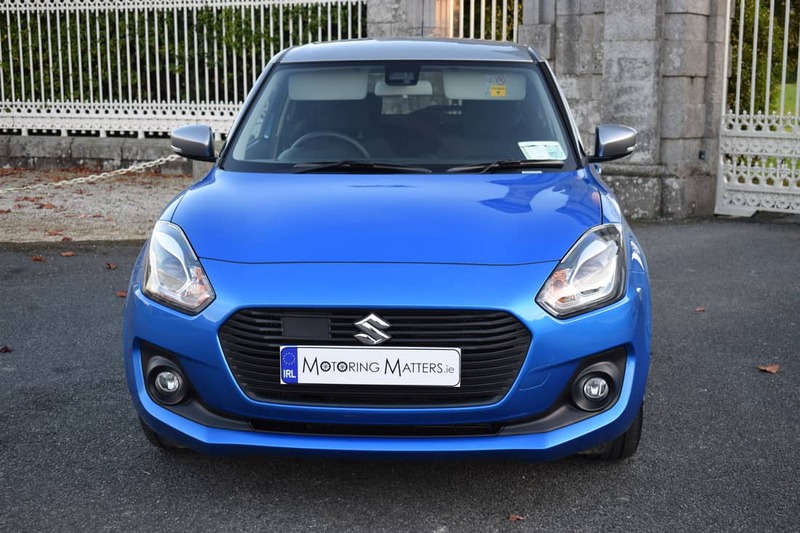 A 3-year/100,000km warranty comes as standard across the Suzuki range.